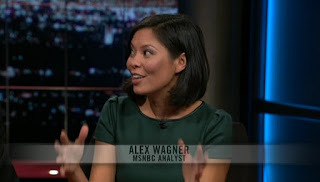 Just caught my new favorite media type person, Alex Wagner, on Bill Maher. Nice move for Alex, as it ups her profile before her new MSNBC show (which, by the way, MSNBC should put on later in the day - just sayin'). She was good and had a few good lines. She seemed frustrated, at times, at not getting enough time to talk. 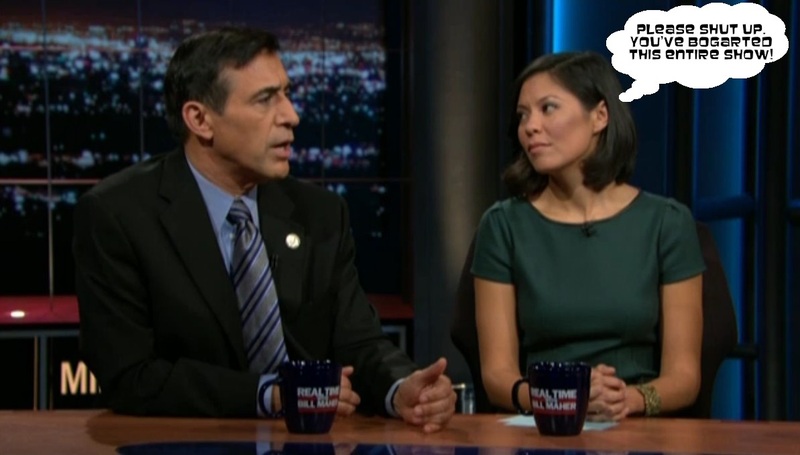 Seriously, Rep. Darrel Issa (R-CA) never shut the hell up...especially during the post-show "Overtime" segment. Getting on a show like Maher's is a coup for pretty much anyone in the TV business, but it comes with some risk, obviously. I think Alex came away unscathed. Issa is a waste of space.